Just a few miles from home but always our first stop of the year. We've opened the RV and made our trip to D&W every year for the last 5. This year was windy(30+mph) so that limited what we did, we still got the rig stocked from the nearby retail stores and then enjoyed visiting with friends and even some family saw our facebook post and stopped by. perfect evening as always!! What a great little campground. Stopped on our way to Nashville and on our return. Easy access to the freeway yet you cannot hear it. Green space and a dog park. Super nice and friendly owners. The sites are large and level. Water, sewer and electric are easily accessible. The view of the pond is nice. The bath house is interesting. The hand dryer is antique. I had to push and hold the button to get it to work, and the air coming out is mildly warm. The stalls are small. The shower configuration is unique. There are two shower stalls, and to get to the second one, I had to walk through the first one. We enjoyed our stay. 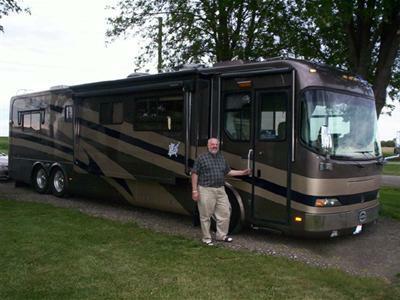 The sites are nice and long to accomodate our 45' RV and car. The owners are very nice and welcoming. There is lots of area to walk your dog and they have a nice dog park fenced in. We were on our way home and stopped in for the night. Everyone was friendly and courteous. Our site was perfectly level. facilities were clean. 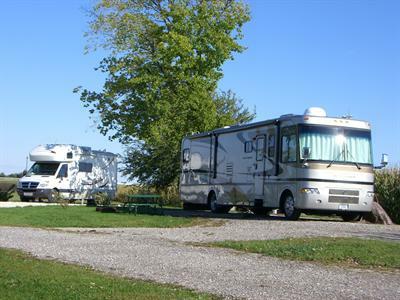 This is an amazing little campground with easy access close to Champaign Il. 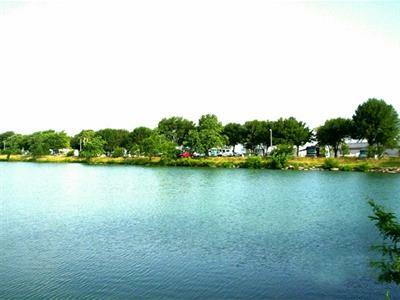 It’s quiet, has leant large shade trees and a small lake. The dog park is wonderful. The price can’t be beat. I use it for my last stopover on my way home, but I’m sure it would make a comfortable vacation spot too. We decided to choose this campsite for our maiden voyage and it did not disappoint. Matt was super helpful and quick to call back to confirm our concerns with the reservations we made. It made for a great weekend and a pleasant first time out with the family. We’ll be staying here again, that’s for sure. Awesome campground!! Very clean and quiet. It is great to wake up and see the beautiful lake. Everything you could ask for. 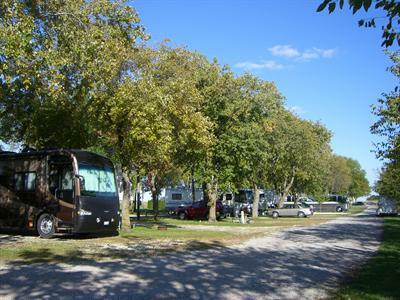 This is a real nice quiet RV Park. Easy in and out.